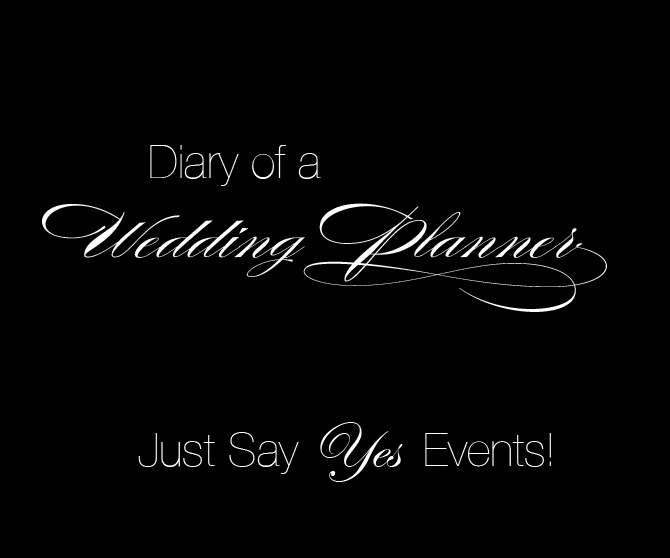 Just Say Yes Events: Utter Romance! I have a love for all things soft and romantic. Our clients Brian & Isenia have definitely chosen to go in that direction and we are ecstatic. They described wanting something that was very romantic and sophisticated and that is something we love at Just Say Yes Events. I knew from the very beginning that I would use Hydrangea as they have a very soft and cloud like look to them. The bride loves pale pink roses so we are using a premium rose that is being flown for this wedding. There are 3 different centerpieces for the reception so we wanted to make sure they were all tied together and look cohesive. All three centerpieces utilize hydrangea, roses & hypericum along with tons of crystals. We took the decor to another level adding tons of candlelight! When I say tons...I mean tons! Each crystals tree will have 9 candles at the base, tall centerpiece 3 floating candles and the low centerpiece 3 votives. I love the glow that they create and the way they make the crystals come to life! This will be a wonderful wedding and we are very pleased to be working with Brian & Isenia.